The client was a group of companies who created a partnership to provide a mix of different services to their various target markets that would help each other in gaining more clients. (Hence, the name.) The client wanted a very basic logo to represent the group of companies, since each individual company had a logo and identity of their own. 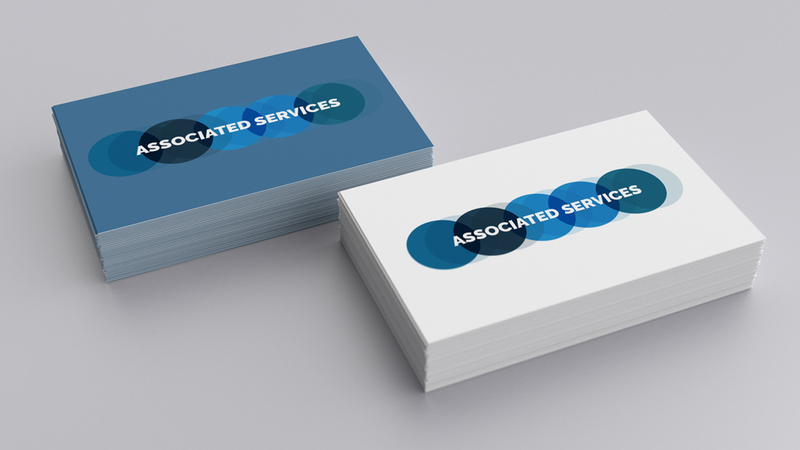 The client wanted shades of blue to be used for the logo. 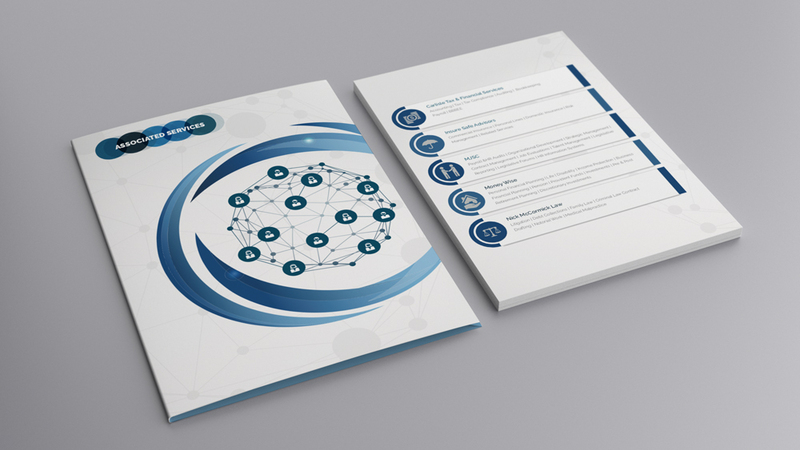 The brief required me to create a logo and presentation folders which showcased the logo. 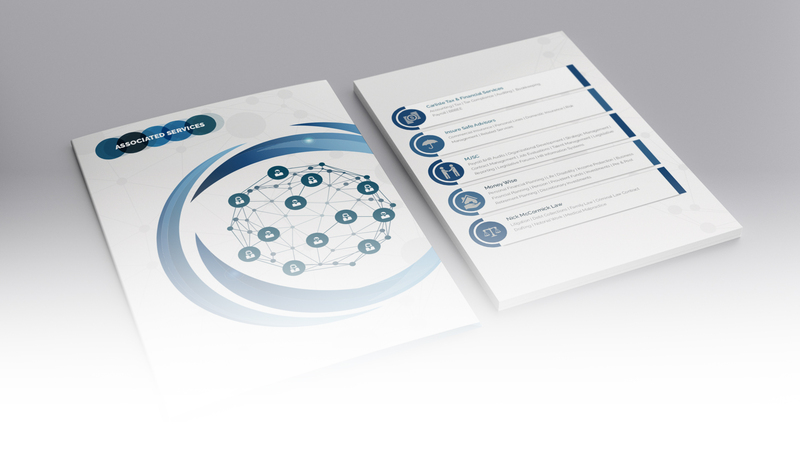 The client would then insert sheets of paper explaining their vision, mission and summaries of the different companies that made up their group of Associated Services.